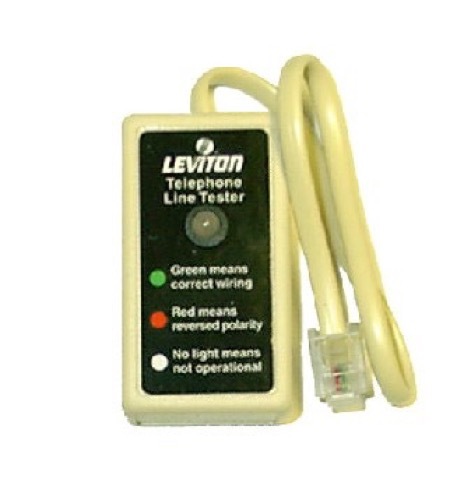 This Leviton Phone Line Tester is no longer available for purchase. It has been replaced by the Gardiner Phone Line Tester!!!! Leviton C2443 telephone line tester detects wiring problems in modular jack installations. The tester plugs into a modular jack and provides quick detection of telephone jack wiring condition. No other tools required. Unplug phone at wall jack. Plug line tester into wall jack.